Fitbits, heart rate monitors and digital thermometers can gauge a person's health, but measuring a mountain's health is a little trickier. More than 60 scientists set out to do just that for Mount Tamalpais, the revered hiking and biking mecca in Marin County. Situated north of the Golden Gate, Mt. Tam is a biodiversity hotspot. It's home to 770 native plants and 250 native animal species, including 95 threatened, endangered and rare species. Six plant species appear nowhere else in the world but on Mt. Tam. The first comprehensive health report of Mt. Tam's natural resources reveals most wildlife are doing well, while some fish species and plant communities are suffering from environmental and human stressors. There's also the risk of catastrophic damage after a fire since the mountain hasn't seen a large wildfire in almost 75 years. Scientists from the Tamalpais Lands Collaborative — a partnership between the Golden Gate National Parks Conservancy and the four agencies that manage the mountain's 41,000 acres of protected open space — looked at 18 types of flora and fauna. From redwood trees to foothill yellow-legged frogs, they studied how healthy the mountain is compared to the past. In some cases, no historical data exists, leaving knowledge gaps the scientists hope to fill in the future. In recent years, the biggest negative impact on plant communities has been from climate change, invasive species and plant pathogens. Oak woodlands, for example, are in fair and declining condition and are significantly stressed, according to the report. More than 100 years of fire suppression on Mt. 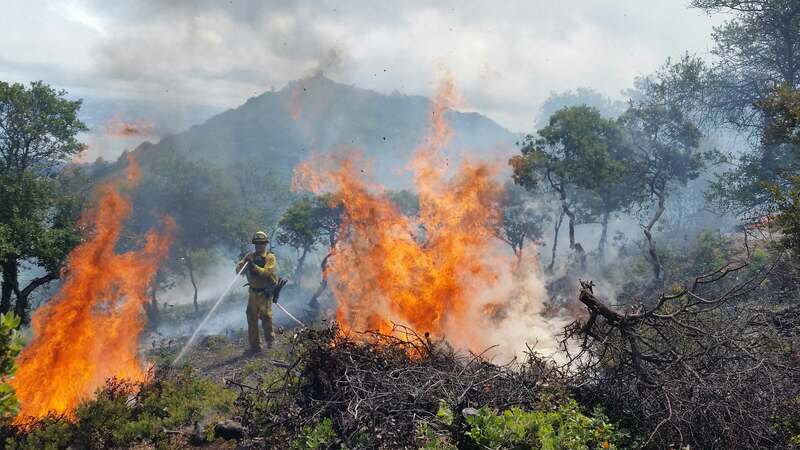 Tam means the shrub layer is thicker, providing fuel for a high-intensity fire with the potential to kill mature oaks and other native trees. And wild turkeys, which were introduced for sport hunting in the 80s, gobble up oak acorns so they don't germinate. Another culprit is Sudden Oak Death, a forest disease caused by the plant pathogen Phytophthora ramorum that can lead to mortality in some hardwood trees. "Much of our vegetation has been stressed by invasive plants and Sudden Oak Death is really changing some of the structure of the forest," says Bill Merkle, Golden Gate National Recreation Area wildlife ecologist. A 2014 Marin Municipal Water District survey found more than 90 percent of oak woodlands were impacted by Sudden Oak Death. Since eradicating Sudden Oak Death isn't likely, the decline and death of tanoaks, coast live oak, and black oaks in Marin County is expected to continue into the foreseeable future. In the last century, more than 60 plant species have disappeared from Mt. Tam and some animal species, like Coho salmon, could vanish from the mountain by 2100, scientists say. 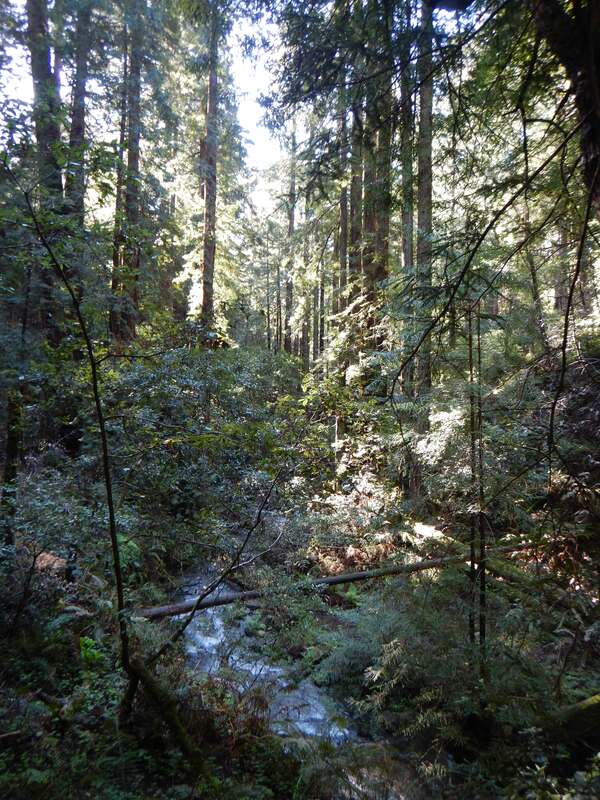 The federally endangered fish live in Lagunitas and Redwood Creeks, which run down off Mt. Tam. "The Coho are in desperate straits," says Eric Ettlinger, Marin Municipal Water District's aquatic ecologist & fisheries biologist. "Most streams that used to have Coho have lost them." Logging during the 20th century sent sediment into streams that smothered fish eggs. Today, Coho are blocked from half the watershed by dams that provide drinking water for Marin residents. 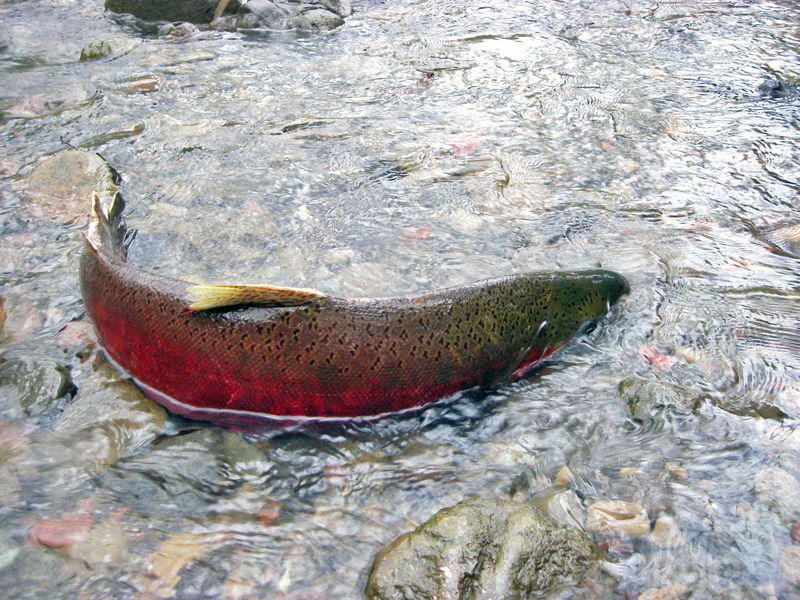 And ocean over-fishing means fewer adult salmon survive to return and spawn in the streams where they hatched. Warmer temperatures and less rainfall, fueled by climate change, are also impacting the Coho, which rely on a continuous flow of cold water. "As things warm up, [Coho] are particularly vulnerable because they’re already at their temperature tolerance" says Ettlinger. Coho salmon aren't the only species that are threatened. “There’s a handful of rare plant species that in the absence of active intervention soon, I think we could lose in the next 50 years” says Janet Klein, vegetation ecologist for the Marin Municipal Water District. 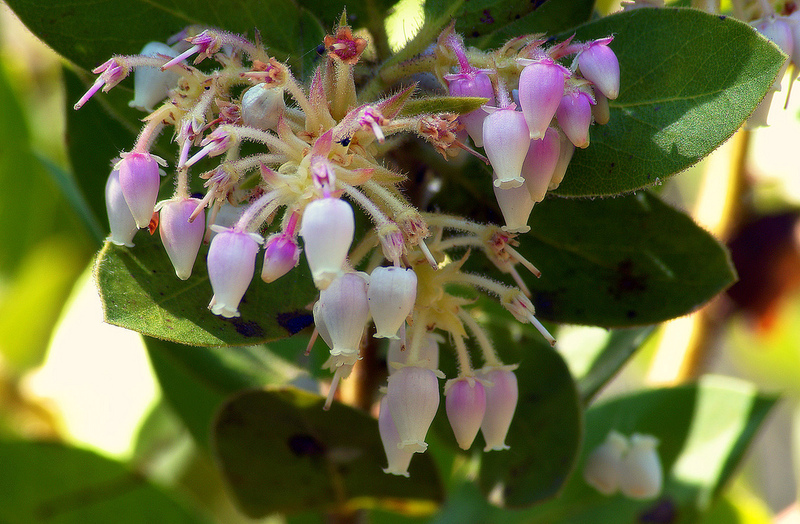 This includes Ceanothus masonii, a native shrub that displays a purple flower in the spring and Arctostaphylos virgata, a native shrub with bell-shaped flowers that's known as Marin manzanita. On Mt. Tam, the flowering shrubs are now restricted to a narrow band along a service road. Their seeds require fire in order to germinate and seedlings have not been observed in the Mt. Tam survey area in the last two decades. Not all species are dwindling. Scientists rate the mountain's overall condition as fair, meaning some natural resources are doing exceptionally well, others are in significant distress and many resources are in a transitional state but could greatly improve with active conservation measures. 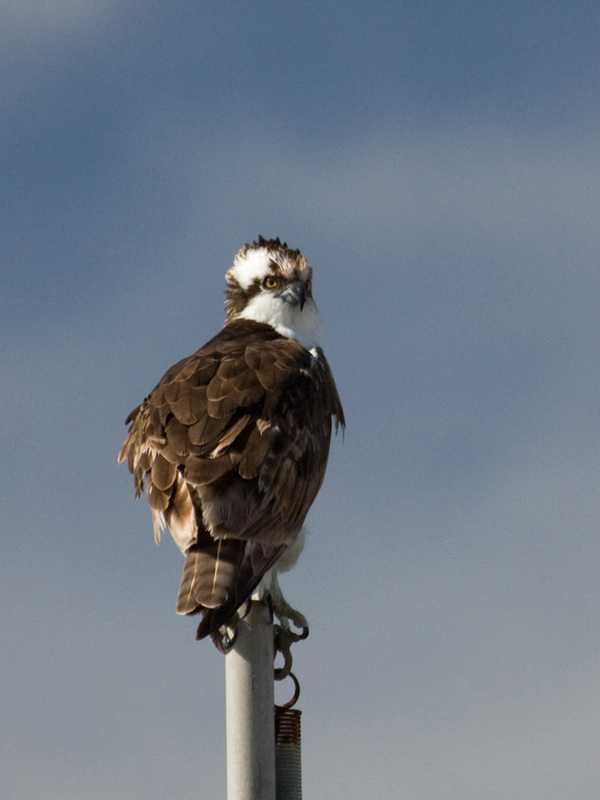 Birds like the northern spotted owl and many raptors are doing well in the Mt. Tam region. The California red-legged frog, whose numbers plummeted as a result of human harvesting, habitat loss, and invasive species have made a comeback in recent years. The report found the single biggest long-term threat facing Mt. Tam is climate change. According to projections from the Climate Ready North Bay Project, the climate on the mountain is expected to warm by 7 to 11 degrees Fahrenheit over the next 50 to 100 years. Today, agencies are taking protective measures. The Marin Municipal Water District, for example, has thinned Douglas-fir saplings that encroach upon oak habitat and volunteers have been removing invasive plants like Scotch broom. The National Park Service created the Coho "headstart" program, which removes juvenile fish from the water. They are then raised in a hatchery, protected from the perilous ocean and re-released into Redwood Creek. For those who want to help Mt. Tam, the Tamalpais Lands Collaborative recommends staying on designated trails, using native plants for home landscaping where feasible and cleaning hiking shoes when passing through areas with Sudden Oak Death. The authors will share findings of their 350 page report on October 28 and 29 during the Mt. Tam Science Summit at the Sausalito Portuguese Cultural Center.